Photo: Orange Technical College, Orlando, Fla. Used with permission. 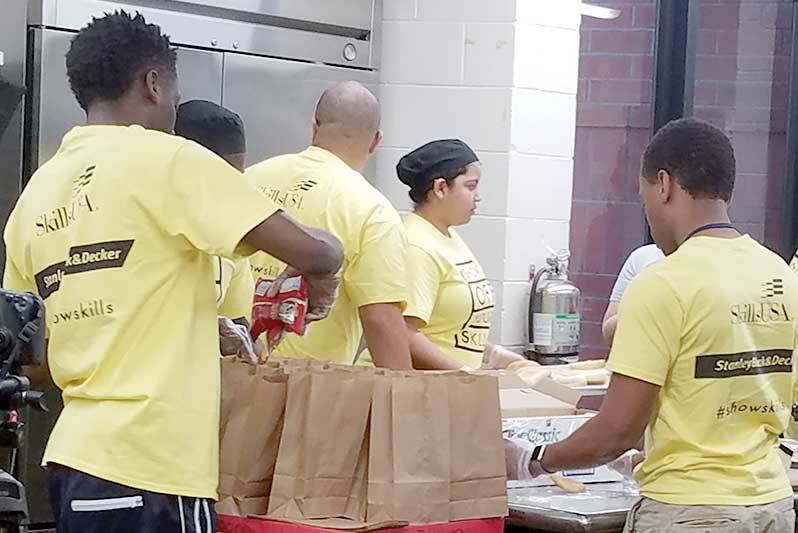 At Orange Technical College in Orlando, Fla., students have conducted numerous projects that help them meet their community service theme: Learn, Give, Empower. Projects have included preparing and delivering meals to the homeless (pictured above), delivering Thanksgiving food baskets to 65 needy families, hosting a fair to connect volunteers to agencies in need of help, cleaning the grounds of a Salvation Army Center and providing items for sheltered animals at the Pet Alliance.